Using games and puzzles, this book provides children with an introduction to the culture and religion of Ancient Assyria. Activities include making friezes, experimenting with cuneiform and designing a seal. It also features a board game based on the Assyrian story of the Flood (Noah's Ark). The kingdom of Assyria flourished between about 900 and 600 BC, coming to dominate the entire Middle East from Iran to Egypt. This book offers an introduction to the culture and religion of Ancient Assyria. Activities include making friezes from plasticine or clay, experimenting with cunieform writing, designing a seal and a cartoon strip Assurian relief to finish. On the back is a board game based on the Assyrian story of the Flood (Noah's Ark). 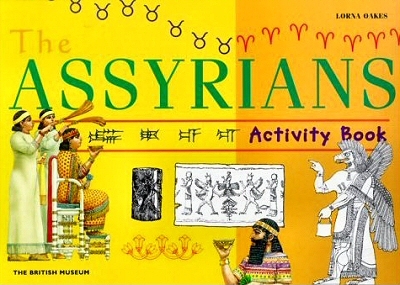 The Assyrians Activity Book - Amazon's online bookstore.